Yolanda B. Temple, 88 of Kissimmee, Florida passed away peacefully on Tuesday, April 2, 2019. She was born in East Hartford Connecticut the daughter of Paquale and Mary Barile. She moved to Kissimmee in 1986 from East Hartford, Connecticut. 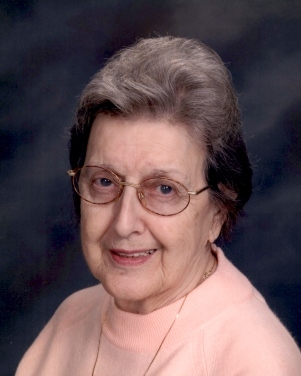 Yolanda was a member of Holy Redeemer Catholic Church and a member of the Veterans of Foreign Wars Auxiliary. Yolanda is survived by her son: William T. Schindler (Peggy) of Groveland, Florida; brothers: Francis Barile of Coventry, Connecticut and LawrenceBarile of Jupiter, Florida; sister: Marie Murray of Middletown, Connecticut. Yolanda was preceded in death by her beloved husband, James R. Temple in 1997. The family will receive friends on Sunday, April 7, 2019 from 5:00 P.M. to 7:00 P.M. at Conrad & Thompson Funeral Home. A Funeral Service to Celebrate the life of Yolanda will be held on Monday, April 8, 2019 at 10:00 A.M. in the Roger C. Thompson Memorial Chapel at Conrad & Thompson Funeral Home. Interment will follow at Rose Hill Cemetery, Kissimmee, Florida. The Temple family is being cared for by: CONRAD & THOMPSON FUNERAL HOME, 511 Emmett Street, Kissimmee, Florida 34741: 407-847-3188.